S26 Premium Cloth-Reinforced Strap Clip. This is our best standard length strap. It has a 7/16" diameter snap and is 2-3/4" long. The strap color is white, and is cloth reinforced. 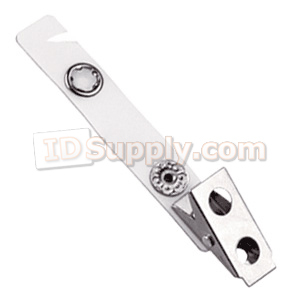 The strap will pass through the slot made with our slot punch or the slot in our badge holders.